ADF Triage-Investigator® is the industry leading digital forensic triage investigation software that leverages ADF’s proven track record of helping reduce forensic backlogs. Learn how agencies around the world are empowering investigators to quickly conduct intelligent digital investigations while maintaining control. 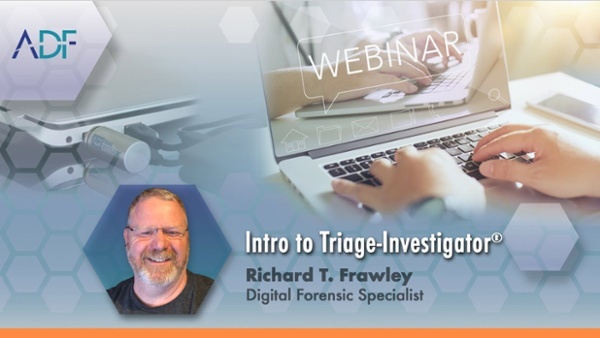 Our resident Digital Forensic Specialist, Rich Frawley, will walk you through Triage-Investigator and show you best practices for getting your investigators started solving their investigations with ADF's easy-to-use and deploy field software.